This is Gizmo. 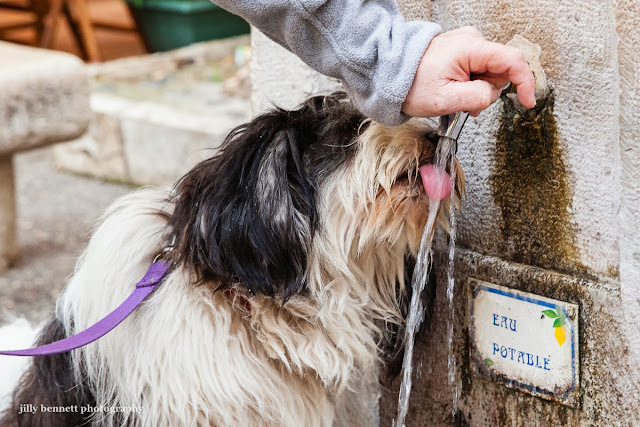 He's a thirsty Polish Lowland Sheepdog who lives in Menton - here drinking in Place aux Herbes. He's two and a half years old and his owner told me he is the only Polish Lowland Sheepdog in Menton. He is lovely Jilly !!! Look at that tongue.What a great shot! My dog Stella loves drinking this way from the hose.